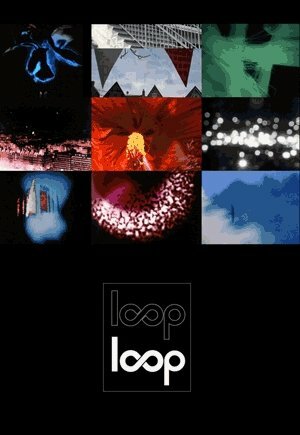 As part of Loop’s fifteen-year anniversary, its members have produced an anthology of their own writings and a DVD containing a small selection of their films. fugitive l(i)ght emphasizes rhythmic structures over and above representation, by drawing the viewer's gaze into a maze of multiple folds of continuously unfolding colour patterns. Thaw expresses the ?lmmaker’s personal frustration with images of femininity within visual culture. Using images from the canon of Western art as a starting point, the ?lm explores the feelings of panic and immobility that accompany the exploration of one’s own sense of self in the face of cultural expectations. In February of 1943, a fissure appeared in the cornfield of Dionisio Pulido, a farmer in the Mexican state of Michoacán. Ash and incandescent rocks emerging from this fissure preceded lava flows, violent explosions, and the birth of Mexico's youngest volcano. Parícutin combines animation with footage shot at the current site of the volcano to recreate the full life cycle of the volcano. Quanta is an investigative record of patterns found in the observable Universe, as contained within the perceptions of a Bolex taken for an afternoon excursion in a rowboat. Shapes Eat Shapes is a sound-image waltz. The dance is performed between interior bodily rhythms, and exterior urban patterns and grids. In this way, the work explores the musical and rhythmic qualities of being-in-the-world. While in New York I lived in an apartment which had an excellent view of the constant flow of air planes making their way along the path towards landing. This one minute video is a visual music piece that plays with airborne things. There's trouble in Eden! Spiders have taken over the garden and their intoxicating bite threatens paradise. Guest narrator Walt Whitman.